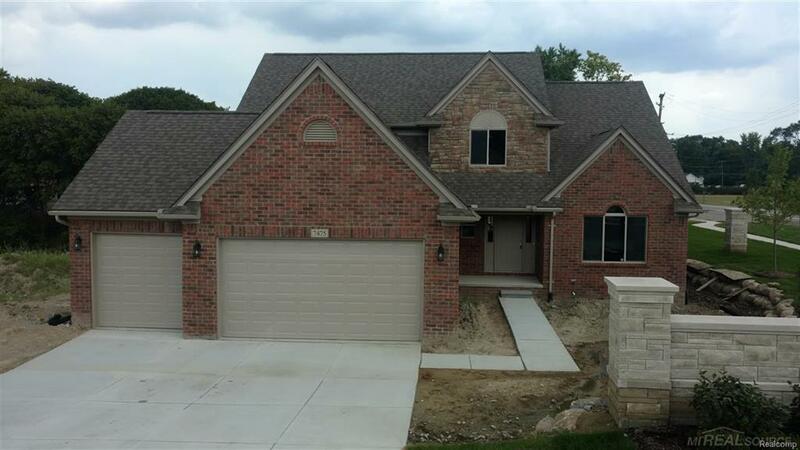 New construction (completed 2017) 4 bedroom 2 1/2 baths split level 2550 sq/ft. 3 car garage. Large kitchen with Lafata upgraded cabinets and center island, tile back splash, under mount cabinet lights, granite counter tops throughout the house. Vaulted ceilings in the study, kitchen, & great room. Hardwood floors in study, foyer, kitchen/nook, great room, hallway. Walkout basement with plumbing rough-ins. wood trim archways, French doors in study with chair rail molding and picture frame molding. 3 piece crown molding in master bedroom. Many more extras. IDX provided courtesy of Realcomp II Ltd., via Lmc Realty Inc and MiRealSource, ©2019 Realcomp II Ltd. Shareholders.